The NBA Finals is headed for Game 7. LeBron James has pulled the Cleveland Cavaliers out of the grave and put the Golden State Warriors’ record-breaking season on the brink. Forget for a moment how hideous the series has been for the most part. Stephen Curry and LeBron James, the two best basketball players on the planet, are going head to head in a do-or-die showdown, and that alone makes it worth the wait. Years down the road, no historians will reflect on this NBA Finals as a classic. Yet there still is a chance we could see a great Game 7. In six games spread over 15 days, there have been six blowouts by double-digit margins. The odyssey has featured so many unpredictable twists and turns, it could be directed by Steven Spielberg. But the melodramatic series is due for a suspenseful finish Sunday. James and Kyrie Irving have pulled the Cleveland Cavaliers out of the grave and put the Golden State Warriors’ record-breaking season on the brink. A scene is set no better than this. Cleveland fans, starved for a championship for more than 50 years, will revel in watching the replay of Game 6. With his legacy seemingly on the line, James has scored 41 points in back-to-back games, and his performance Thursday carried the Cavaliers to a 115-101 victory that left the Warriors looking their worst. 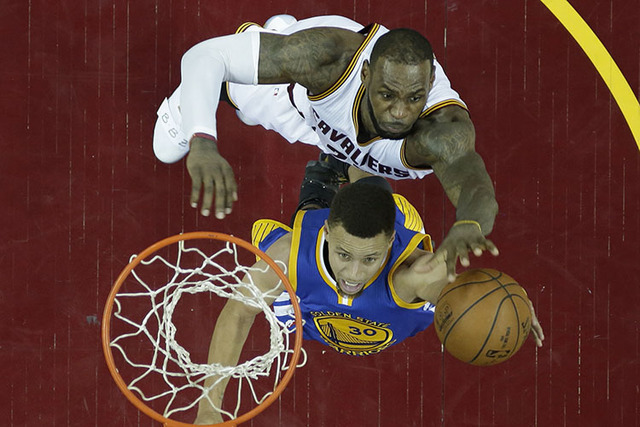 The brewing feud between James and Curry makes Sunday’s setting even more dramatic. 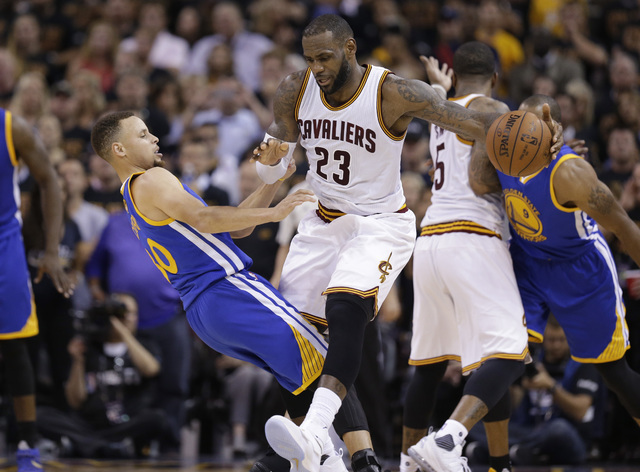 In the fourth quarter, with the Cavaliers coasting, James swatted a layup by Curry and followed the blocked shot with trash talk. A short while later, Curry was ejected for angrily protesting a botched foul call against him. “This is really the first time I can remember, even going back to last year, you can see the frustration in the Warriors’ players,” Esposito said. For many years, the NBA has been compared to pro wrestling because of the way important playoff games appear manipulated or scripted. The league’s suspension of Warriors forward Draymond Green for Game 5 fueled the conspiracy theories. But this series was not fixed to go the distance. What has happened is really no mystery. James, with his back to the wall, simply came out firing and changed everything. “With the Cavaliers down 3-1, I was one of the guys who didn’t know if they had it in them to come back,” Esposito said. “Everyone was talking about another blown opportunity for LeBron. I was one of the guys who didn’t know if he could do it or not. James’ surge has been complemented by Irving, who is outplaying Curry. Tristan Thompson, who totaled 15 points and 16 rebounds Thursday, has become a bear in the low post. J.R. Smith finally found his lost 3-point shot. In the first two games, which Golden State won by a combined 48 points, James, Irving and Smith were a bust. Now, stunningly, the Warriors are one loss from a historic finals flop. Teams with a 3-1 lead in the finals are 32-0 all time. Golden State, 73-9 in the regular season, is 15-8 in the postseason. The Warriors opened as 5-point favorites in a Game 7 that suddenly feels like anything but a lock for the home team, even a team that is dominant at home. The Cavaliers, who closed as 2-point favorites, staked their claim to Game 6 by running the Warriors off the floor in a 31-11 first quarter. The books took strong two-way action — a source confirmed retired boxer/active NBA bettor Floyd Mayweather Jr. wagered $200,000 on Golden State — for what turned out to be a one-way fast break. Mayweather is not alone by swinging and missing. After Game 2, ESPN analyst Stephen A. Smith boldly said Cleveland had “zero chance” to win the series. I initially predicted the Cavaliers would win in seven, only to label the pick “foolish” after the first two blowouts. Bet on being on the edge of your seat.